The Aviation Section, Signal Corps, was the military aviation service of the United States Army from 1914 to 1918, and a direct statutory ancestor of the United States Air Force. It replaced and absorbed the Aeronautical Division, Signal Corps, and was succeeded briefly (four days) by the Division of Military Aeronautics, and then by the Air Service, United States Army. The Aviation Section organized the first squadrons of the aviation arm and conducted the first military operations by United States aviation on foreign soil. The Aviation Section, U.S. Signal Corps was created by the 63rd Congress (Public Law 143) on July 18, 1914 after earlier legislation to make the aviation service independent from the Signal Corps died in committee. From July 1914 until May 1918 the aviation section of the Signal Corps was usually known by the title of its administrative headquarters component, named variously Aeronautical Division, Air Division, Division of Military Aeronautics, and others. For historic convenience, however, the air arm is commonly referred to during its existence as Aviation Section, Signal Corps, and is the designation recognized by the United States Air Force as its predecessor for this period. The Aviation Section began in turbulence, first as an alternative to making aviation in the Army a corps independent of the Signal Corps, then with friction between its pilots, who were all young and on temporary detail from other branches, and its leadership, who were more established Signal Corps officers and non-pilots. Despite the assignment of Lieutenant Colonel George O. Squier as chief to bring stability to Army aviation, the Signal Corps found itself wholly inadequate to the task of supporting the Army in combat after the United States entered World War I on 6 April 1917. It attempted to expand and organize a competent arm but its efforts were largely chaotic and in the spring of 1918 aviation was removed, first from the jurisdiction of the Office of the Chief of Signal where it had resided since its inception, and then from the Signal Corps altogether. Be it enacted..., that there shall hereafter be, and there is hereby created, an aviation section, which shall be a part of the Signal Corps of the Army, and which shall be, and is hereby, charged with the duty of operating or supervising the operation of all military aircraft, including balloons and aeroplanes, all appliances pertaining to said craft, and signaling apparatus of any kind when installed on said craft; also with the duty of training officers and enlisted men in matters pertaining to military aviation. The new law also decreed restrictions that only unmarried lieutenants of the line under the age of 30 could be detailed to the section, provisions which encouraged a lack of discipline and professional maturity among the aviators that handicapped the growth of the service, hampered retention of pilots, and prevented flying officers from commanding flying units. Officers on aviation duty who were promoted to permanent captain in their branch arm were automatically returned to the line. Aggravating the situation, the 11 remaining pilots of the 24 previously rated as Military Aviators all had their ratings automatically reduced to Junior Military Aviator (and therefore incurred a 25% reduction in flight pay) when requirements were changed to include three years experience as a JMA before qualifying for the higher rating. This placed them on the same level as newly graduated pilots, and none of those so reduced regained their ratings before 1917. Most of the air service had just returned to San Diego from detached service in Texas for the second time in as many years to support Army ground forces in a possible war with Mexico over the Tampico Affair. The impending war was defused by the resignation of Victoriano Huerta on July 15. [n 8] A small detachment returned to Texas in April 1915, when the Army massed around Brownsville, Texas, in response to civil war between the forces of Pancho Villa and the Carranza government. By December 1914, the Aviation Section consisted of 44 officers, 224 enlisted men, and 23 aircraft. Chief Signal Officer Brigadier General George P. Scriven announced on April 9, 1915 that following the establishment of an aero company at San Antonio, three additional companies would be sent overseas, to the Philippine Department for station on Corregidor, to Fort Kamehameha in the Hawaiian Department, and to the Panama Canal Zone. The 1st Company, 2nd Aero Squadron was activated on May 12, 1915 at San Diego but not manned until December. Beginning in August 1915, the 1st Aero Squadron spent four months at Fort Sill, Oklahoma, training at the Field Artillery School with eight newly delivered Curtiss JN-2s. After a fatal crash on August 12, the pilots of the squadron met with squadron commander Foulois and declared the JN-2 unsafe because of low power, shoddy construction, lack of stability, and overly sensitive rudders. Foulois and Capt. Thomas D. Milling disagreed, and the JN-2 remained operational until a second crashed on September 5. The aircraft were grounded until October 14, when conversions of the JN-2s to the newer JN-3 began, two copies of which the squadron received in early September. Between November 19 and 26, 1915, the six JN-3s of the 1st Aero Squadron at Fort Sill (the other two were on detached duty at Brownsville) made the first cross-country squadron flight, 439 mi (707 km) to a new airfield built near Fort Sam Houston, Texas. The Texas base became the "first permanent aeronautical station"[n 9] on January 6, 1916, designated as the San Antonio Air Center. Ironically, the first "permanent" base was abandoned after several months and its remaining funding allocated to the establishment of a new training school on Long Island, New York. Signal Corps Aviation Station, Mineola (later Hazelhurst Field) opened on July 22, 1916.
the 1st Company, 2nd Aero Squadron (Manila). It had 23 aircraft: four seaplanes based overseas at Manila, two seaplanes and nine trainers at San Diego, and eight JN-3s in Texas. Thirty-two other aircraft had been destroyed or written off since 1909, one was in the Smithsonian Institution, and three were too damaged to repair economically. On November 1, 1915, the first aviation organization in the National Guard was created, the "Aviation Detachment, 1st Battalion Signal Corps, New York National Guard", later called simply the "1st Aero Company". Consisting of four officers (including its founder, Captain Raynal Bolling) and 40 enlisted men, it used two leased aircraft to train until five aircraft were purchased for its equipment in 1916. 1st Aero Squadron Curtiss JN-3s at Columbus, New Mexico, March 1916. Following Villa's raid on Columbus, New Mexico, on March 9, 1916, the 1st Aero Squadron was attached to Major General John J. Pershing's Punitive Expedition. It consisted of 11 pilots, 84 enlisted men (including two medics), a civilian mechanic, and was supported by an engineer officer and 14 men. Eight Curtiss JN-3s[n 10] were disassembled at Fort Sam Houston on March 12 and shipped the next day by rail to Columbus, along with the squadron's 12 trucks, one automobile, and six motorcycles. The JN-3s were reassembled as they were off-loaded on March 15, the date the first column marched into Mexico. The first observation mission flown by the squadron, and the first American military reconnaissance flight over foreign territory, was flown the next day and lasted 51 minutes with Dodd at the controls and Foulois observing. On March 19, Pershing telegraphed Foulois and ordered the squadron forward to his base at Colonia Dublán to observe for the 7th and 10th Cavalry Regiments. The ground echelon moved forward by truck, and the eight JN-3s took off at 17:10. None of the eight aircraft made Dublán that evening: one turned back to Columbus because of engine problems, and one was destroyed by scavengers after a forced landing in Mexico. Four that landed together at Ascensión (about halfway to Dublán) flew on to Dublán in the morning, where they were joined by the plane that had returned to Columbus and one that had landed on a road at Janos. The squadron returned to Columbus on April 22, where it expanded to a roster of 16 pilots and 122 enlisted men. It flew liaison missions for Pershing's force using detachments in Mexico until August 15, 1916. The 1st Aero Squadron flew a total of 540 liaison and aerial reconnaissance missions, flying 19,553 mi (31,468 km) with a flight time of 345 hours 43 minutes. No observations were made of hostile troops but the squadron performed invaluable services maintaining communications between ground units deep inside Mexico and Pershing's headquarters. During this expedition, a solid red star on the rudder became the first national insignia for United States military aircraft. Their airplanes did not have sufficient power to fly over the Sierra Madre Mountains nor did they perform well in the turbulence of its passes, and missions averaged only 36 mi (58 km) distance from their landing fields. The planes were nearly impossible to maintain because of a lack of parts and environmental conditions (laminated wooden propellers had to be dismounted after each flight and placed in humidors to keep their glue from disintegrating), and after just 30 days service only two were left. Both were no longer flight worthy and were condemned on April 22. Congress in a deficiency bill voted the Aviation Section an emergency appropriation of $500,000 (twice its previous budget), and although four new Curtiss N-8s[n 11] were shipped to Columbus, they were rejected by Foulois after six days of flight testing. Although recommended for condemnation, they were shipped to San Diego, modified, and ultimately became training aircraft. A new agency was also created within the Aviation Section, the Technical Advisory and Inspection Board, headed by Milling, and staffed by pilots who had attended engineering course at the Massachusetts Institute of Technology and civilian engineers, including Donald Douglas. The Board recommended the squadron be equipped with new Curtiss R-2s, which used a 160 hp (120 kW) engine. The first two were delivered on May 1, 1916, and the remaining 10 by May 25. They were assigned Signal Corps numbers 64 to 75. The R-2s were equipped with Lewis machine guns, wireless sets, and standard compasses, but their performance proved little better than that of their predecessors. Pilots were quoted by name in both the New York Times and New York Herald Tribune as condemning their equipment, but Pershing did not pursue the issue, noting they had "already too often risked their lives in old and often useless machines they have patched up and worked over in an effort to do their share of the duty this expedition has been called upon to perform." In August 1914, soon after the passage of the act creating the Aviation Section, World War I began. The European powers showed an immediate interest in promoting military aviation but the Army's General Staff remained apathetic regarding development of aerial capabilities, as Captain Beck had charged the year before. The Chief Signal Officer continued restrictions on development and acquisition of aircraft that were perceived by the young aviators as detrimental to flying safety and likely to prevent the Aviation Section from providing aviation support to the Army comparable to that of the European powers in the event that the United States was drawn into the war. Officers who had testified against separation of aviation from the Signal Corps in August 1913 now were for it, marking the beginning of the movement that ultimately culminated in the creation of the United States Air Force 33 years later. Considerable friction developed between the young pilots from the line of the Army and their non-flying superiors in the Signal Corps. While recuperating, Goodier assisted Capt. Townsend F. Dodd and 1st Lt. Walter Taliaferro in an attempt to prefer charges against Cowan for fraudulently collecting flight pay when he was neither certified to fly nor on flying duty. [n 14] They were aided by Goodier's father, Lt. Col. Lewis E. Goodier, Sr., Judge Advocate General of the Western Department in San Francisco, who in addition also preferred charges against former squadron commander Captain William Lay Patterson for similar offenses,[n 15] charging that he had been awarded a rating of Junior Military Aviator, and was drawing pay based on it, without being qualified to fly or being on flying duty. The charges were routed to the CSO at a time when Cowan's superior, Chief of the Aviation Section Lt. Col. Samuel Reber,[n 16] himself an integral part of the accusations and also a non-flyer, was temporarily in command. Reber had the charges against Cowan and Patterson dismissed, then he and Cowan charged the elder Goodier with "Conduct to the Prejudice of Good Order and Discipline" for assisting in drawing up of charges against Cowan, specifying that he did so out of malice. The resulting court martial proceedings, which began October 18, 1915, resulted in the conviction of Lt. Col. Goodier and a sentence of reprimand. Brig. Gen. E. H. Crowder, the Army's Judge Advocate General, ruled (after the preferring of charges against Lt. Col. Goodier but before his trial) that neither Cowan nor Patterson was criminally culpable of fraud because of legal technicalities. [n 17] Although legally correct, the ruling put the Army in a bad public light for not only condoning obvious misfeasance but failing to correct it. [n 18] Evidence also showed that at the same time Reber and Cowan had used Capt. Goodier's injuries as a pretext to have him dismissed from the Aviation Section while he was recuperating. However the charge of malice allowed defense counsel wide latitude in its introduction of evidence, and documents including official correspondence describing numerous incidents that confirmed Capt. Goodier's original charges against Cowan became part of the court record, including support by the CSO of a pattern of retribution against officers on flying duty who fell in disfavor of Cowan. Senator Joseph T. Robinson immediately brought the matter before the United States Senate, introducing S.J. Resolution 65 in January 1916, calling for an investigation of malfeasance in the Aviation Section involving serious mismanagement, disregard for flying safety, favoritism, fraud, and concealment of wrongdoing in the Aviation Section's chain of command. Robinson conducted hearings and released to the public all of the documents held in evidence at the court martial. S.J. Resolution 65 passed on March 16, 1916, without opposition. An acting head of section was immediately appointed pending the outcome of the investigation. The second of these acting heads of division was Major William "Billy" Mitchell, a General Staff officer who had testified before Congress in 1913 against transfer of aviation from the Signal Corps. As a result of negative publicity regarding its airplanes in Mexico, Mitchell and the Aviation Section came under severe criticism during this period. Mitchell defended the department, insisting that the U.S. firms did not produce better aircraft, but the outcry produced several long-term results, including instructing Mitchell in political tactics, participation in which ultimately resulted in his court-martial at the end of his career. 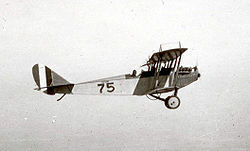 While the Senate hearings were in progress and the 1st Aero Squadron encountered difficulties with its airplanes in Mexico, Scriven issued a statement accusing the young aviators of "unmilitary insubordination and disloyal acts" in an attempt to form an air service separate from the Signal Corps. He also recommended that the age and marital status restrictions for pilots be removed to encourage older and therefore more experienced officers to volunteer for aviation duty. Brig. Gen. Ernest Albert Garlington, the Inspector General, was appointed by Army Chief of Staff Gen. Hugh L. Scott to head a board of investigation into the Aviation Section. The Garlington Board confirmed Goodier's allegations and also cited Scriven and Reber for failing to supervise the section adequately, holding them responsible for acquiring substandard aircraft. The Garlington Board's report, together with the Senate resolution and public criticism of the equipment used in Mexico, prompted Secretary of War Newton Baker to issue letters of reprimand to Scriven, Reber and Cowan. Reber was formally relieved as Chief of the Aviation Section on May 5,[n 19] and Cowan of his duties in July. [n 20] Both were assigned non-aviation duties in the Signal Corps after extensive leaves of absence. Lt. Col. George O. Squier was recalled from duty as military attaché in London and appointed Chief of the Aviation Section on May 20, with orders to reform it literally from the ground up. On April 24, 1916, the General Staff appointed a committee chaired by Col. Charles W. Kennedy to make recommendations for reform and reorganization of the Aviation Section. 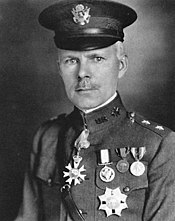 Milling was named the representative from the section, over the objections of Foulois, who believed him to be too close to the previous Signal Corps leadership. The committee took statements from all 23 officers then on flying duty with the Aviation Section and found that 21 favored separation of aviation from the Signal Corps. Only Milling and Captain Patterson were opposed to separation—and Patterson was the non-flyer who had acquired his flying certificate through the censured actions of Cowan. The Kennedy Committee recommended in July 1916 that aviation be expanded and developed, and that it be removed from the Signal Corps and placed under a central agency, in effect endorsing for the first time a call for a separate air arm. The recommendation was quickly attacked by Assistant Army Chief of Staff Gen. Tasker Bliss, who branded the air officers supporting separation as having "a spirit of insubordination" and acting out of "self-aggrandizement". [n 21] The Kennedy Committee's recommendations were rejected by the War Department, but the issue of a separate Air Force had been born and would not die until separation was finally achieved in 1947. On June 3, 1916, in anticipation of possible U.S. entry in the war in Europe, Congress adopted the National Defense Act of June 3, 1916 (39 Stat. 166, 174, 175), provisions of which authorized an increase in the size of the Aviation Section to 148 officers,[n 22] allowed the President to determine the size of the enlisted complement, and established the first reserve components for aviation, the Signal Officers Reserve Corps (297 officers) and the Signal Enlisted Reserve Corps (2,000 men). However, anticipating the presidential election of 1916, the normally aviation-friendly Wilson Administration still refused to put forth a budget appropriation request greater than that of the preceding year. Following Scriven's recommendations, the law rescinded the eligibility restrictions for detailing officers to be pilots in the 1914 act. The Aviation Section's poor showing in Mexico also showed that the U.S. aviation industry was not competitive in any respect with European aircraft manufacturers. No American-manufactured airplane had a vital function, none were mounted with weapons, and all were markedly inferior in speed and other performance characteristics. Further, U.S. companies were distracted by protracted legal battles and in-fighting over licenses and royalties while their European counterparts had been energized by the needs of the battlefield. Engineering Division, April 6, 1917: Procurement and distribution of aviation supplies; later designated Finance and Supply Division; and Engineering Division again on August 2, 1917. Construction Division, May 21, 1917: Air field construction and maintenance; redesignated Supply Division, October 1, 1917, with added responsibility for procurement and distribution of aviation supplies transferred from Engineering Division and vested in subordinate Materiel Section, organized January 24, 1918. Aircraft Engineering Division, May 24, 1917: Research and design; redesignated Science and Research Division, October 22, 1917. The Aeronautical Division was renamed the Air Division (also called the Air Service Division), with functions limited to operation, training, and personnel on October 1, 1917. The Air Division was abolished by order of Secretary of War on April 24, 1918, and OCSO aviation functions realigned to create the Division of Military Aeronautics, with responsibility for general oversight of military aviation; and the Bureau of Aircraft Production, which had charge of design and production of aircraft and equipment. In its final year as a component of the Signal Corps, from the declaration of war on Germany by the United States in April 1917 to May 1918, the Aviation Section developed into parallel air forces, a training force in the United States and a combat force in Europe. After February 1917, the section consisted of three divisions in the OCSO: Administrative, Engineering, and Aeronautical. At the onset of war the Aviation Section consisted of only 65 regular officers, 66 reserve officers, 1,087 enlisted men, and 280 airplanes (all trainers), with more on order. The service had 36 pilots and 51 student pilots. By comparison, the United States Navy's air service had 48 officers, 230 enlisted men, and 54 powered aircraft. In the United States, the Aviation Section was nearly overwhelmed with the problems of rapid expansion to fight a modern war—the recruitment and training of pilots and mechanics, the production of airplanes, the formation and equipping of combat units, and the acquisition of air bases—while overseas a second force developed as part of the American Expeditionary Force, absorbing most of the experienced leadership of military aviation and taking over much of the expansion responsibilities except aircraft production. This second force, the Air Service of the AEF, used European-built aircraft and training facilities and forced the separation of aviation from the Signal Corps. Part of this separation occurred when the Aviation Section failed in its most pressing need, the production of new airplanes. Under pressure from the French, the Wilson administration set up a production plan to develop a force of 6,000 pursuit planes; 3,000 observation craft; and 2,000 bombers, a ratio established by Pershing, now commanding general of the AEF. Despite pronounced resistance from the Army general staff, $640,000,000[n 26] was funded by Congress to meet this goal (45 times the budget of the preceding year) when Squier, now a brigadier general and advanced to CSO, appealed directly to the Secretary of War. An Aircraft Production Board was set up under the chairmanship of an automobile manufacturer, Howard E. Coffin of the Hudson Motor Car Company, but the airplane of World War I was not suitable to the mass-production methods of automobile manufacturing and Coffin neglected the priority of mass-producing spare parts. Though individual areas within the industry responded well—particularly in engine production, with the development of the Liberty engine, of which 13,500 were produced—the industry as a whole failed. Attempts to mass-produce European models under license in the U.S. were largely failures. Among pursuit planes, the SPAD S.VII could not be engineered to accept an American engine and the Bristol F.2 became dangerous to fly using one. Because of this failure, President Wilson determined that the OCSO was too overburdened by tasks to supervise effectively the Aviation Section and created a new subordinate organization, the Division of Military Aeronautics, on April 24, 1918, to assume all the functions and responsibilities for aviation. The DMA was removed from the Signal Corps altogether by executive order, under war powers granted to the president under the newly passed Overman Act, on May 20, 1918, reporting directly to the Secretary of War and effectively suspending the statutory duties of the Aviation Section. Four days later, on May 24, both the DMA and the civilian-headed Bureau of Aircraft Production came under the aegis of a new organization, the Air Service, United States Army. The Aviation Section had been created by an act of Congress and was not formally disestablished until the passage of the National Defense Act of 1920, statutorily creating the Air Service. In January 1917 the CSO advised the House Committee on Military Affairs that during 1917 the Aviation Section would increase in size to 13 aero squadrons: four land plane squadrons based in the United States, three seaplane squadrons to be based in U.S. possessions overseas, and six reserve squadrons for coast defense. By the time of the United States entry into World War I in April, three squadrons (1st and 3rd in the U.S., 2nd in the Philippines) were in service, two (6th for Hawaii and 7th for the Panama Canal Zone) were organizing, and two (4th and 5th, to be based in the continental U.S.) had yet to receive personnel. In March, for planning purposes, the Army Chief of Staff proposed new tables of organization and authorized a total of 20 squadrons, including an additional squadron in the U.S. and six additional for coast defense. However the plan was never implemented because of the war and only 131 of the required 440 officers had been assigned. Service squadron: Flying units equipped with planes and flying personnel. Enlisted personnel assigned to the squadron consisted of mechanics, radio operators, machine gun armorers and chauffeurs. Service squadrons were eventually classified as "pursuit", "observation" or "bombardment" according to their combat role. School squadron: Support units consisting primarily of aircraft mechanics, performing their work in the hangars and shops at training bases for pilots and observers. Construction squadron: Units which built new airfields, smoothing and grading a field for aircraft landings and takeoffs. They also erected hangars, barracks, shops, barracks, and all the other infrastructure (roads, electricity, water, sewer) needed to establish a new airfield. In the Zone of the Advance in France, new airfields were established quickly as the front line changed. Park squadron (also known as "air park"): Logistical units whose mission was to supply the equipment and supplies necessary for the other squadrons to operate. Replacement squadrons for processing and assigning incoming personnel for the flying squadrons. ↑ The text of the entire Act is found at Hennessy, Appendix 13, p. 233. ↑ Five officers, 26 enlisted men, and three airplanes: S.C. Numbers 24, 25, and 26. ↑ Five officers, 26 enlisted men, and S.C. Numbers 20, 28, and 30. ↑ The organization of the aero squadron into two companies lasted only until April 1915, when it changed to 12 sections, including a section for each of its eight aircraft. The companies of the 1st Aero Squadron, carried on separate rolls, were consolidated into a single entity on April 17. ↑ The site had been approved in April 1913 but was delayed by lack of funding. ↑ Cowan was an 1899 graduate of the United States Military Academy and had risen rapidly in rank (1st lieutenant in two years and captain in eight) through transfers and assignments to the Service Schools. He moved from the Infantry to the Signal Corps in March 1909 (with date of rank back-dated to 1907), then in 1910 headed the Aeronautical Division at the age of 35. He personally recruited Henry H. Arnold for pilot duties. He was Signal Officer of the 2nd Division in Texas City, Texas, when Capt. Charles deF. Chandler was relieved and transferred to the Philippines over differences with his pilots. Temporarily assigned to command the provisonal 1st Aero Squadron, he was made commandant of the Signal Corps Aviation School when the squadron returned to the school in June 1913. ↑ Cowan's statement was made to and included in the Inspector General's report investigating the crashes as justification of his decision. ↑ Cowan's total flight experience was 24 minutes of "grass-cutting" -- tethered flying in short, straight hops just above the ground. ↑ Before becoming squadron commander, the Canadian-born Patterson had been the aide-de-camp of Brigadier General Charles B. Hall, Commandant of the Signal School. His career began in 1901 as a lieutenant in the "Porto Rican Provisional Regiment of Infantry". Commissioned in the Regular Army in 1905, Patterson was an infantry officer who remained in the Aviation Section through World War I as a balloonist. In 1920 he received a majority in the infantry and briefly transferred in grade to the Air Service, but was soon returned to the infantry and posted to the Bureau of Insular Affairs. ↑ Reber was an 1886 graduate of the United States Military Academy. He was an early member of the Aero Club of America as a balloonist. Unlike his predecessor Cowan, Reber was older (48) at the time of his appointment in 1913 as Chief of Aviation. Among his classmates were the two future Chiefs of Air Service Charles T. Menoher and Mason M. Patrick. He was the son-in-law of Lt. Gen. Nelson A. Miles, retired Commanding General of the United States Army. ↑ Cowan and Patterson were paid a 35% increase over their base pay by a provision of the aviation appropriations act of 2 March 1913 that allowed up to 30 officers assigned to the Aeronautical Division to do so (the division had nowhere near 30 pilots). Although neither Cowan or Patterson completed training, nor could fly solo, the 1913 act did not require a rating or actual flying to draw the pay, even though its intent was to compensate for risk, requiring only that officers be held in "readiness" for flying duties. Both retained their flight pay after passage of Public Law 143 (July 18, 1914) creating the Aviation Section, because the new law did not specifically repeal the 1913 appropriations act. A ruling was made on behalf of Cowan by the JAG that he was excepted from the 1914 requirements and entitled to the pay under the 1913 act. Patterson received a JMA rating in September 1914 (in effect, from Cowan), after Public Law 143 established it as a legal requirement to draw flight pay, because no flying ability test was yet required by the War Department to acquire the rating. Reber was aware of all these facts. ↑ Patterson was actually made commander of the first company of the new 2nd Aero Squadron, and eventually learned to fly solo. Cowan also learned to fly but never earned a Junior Military Aviator rating. ↑ Reber's "punishment" was short-lived, and he was promoted to full colonel less than two months after his relief. He went to France with the American Expeditionary Force in March 1918 as a provost marshal, and saw action on the last day of the war with the 109th Infantry Regiment. He retired at his own request in 1919 and joined the newly created Radio Corporation of America. ↑ The official history of the United States Air Force, published in 1997, is much more sympathetic to Cowan, stating "Cowan's subordinates were maneuvering to depose him, allegedly because he played favorites and ignored safety. Actually the root of his departure from the air arm was the mutual misunderstanding between pilots, understandably concerned with safety, and a non-flying manager determined to get the most efficient use from the obsolescent machines entrusted to him." (Heimdahl and Hurley, p.30). However, the official history completely omits any mention of the court martial; the evidence of Cowan's retribution against officers he disliked, including the attempt to cashier Capt. Goodier after his crash; and Secretary Baker's actions as reasons for the "departure". The army in effect ignored this episode and it did not affect his career. Cowan afterwards served in a number of Signal Corps training billets, and was promoted to major in May 1917. He received a wartime promotion to colonel and served as a staff officer in the headquarters of the AEF in France. He was 14th on the 1922 promotion list to colonel (out of 669 names) and after promotion to colonel was post commander of Fort Monmouth, New Jersey, the last 10 years of his career. Cowan reached mandatory retirement age in April 1939 after 40 years of service. He was recalled to active duty from the retired list on November 22, 1940, serving as signal officer of the Ninth Corps Area Service Command, and was again placed on the retired list September 30, 1942, at the age of 67. Cowan's retirement was changed to "disability incident to service" on November 27, 1943. ↑ Accusations of insubordination and seeking promotion became the preferred tactic senior ground forces officers used against pilots supporting the movement to achieve greater autonomy for the next 23 years. ↑ Approximately $274M in 2012. ↑ Lt. Col. John B. Bennet, who succeeded Squier, and Col. William L. Kenly, who headed the Division of Military Aeronautics. ↑ Appointed to command the Wood Section was Lt. Col. Brice P. Disque on September 15, 1917. Disque was a former 3rd Cavalry officer who had been on special assignment as a civilian investigating labor unrest in the Pacific Northwest. ↑ Approximately $13.5 billion in 2012 dollars. ↑ John Bradbury Bennet, West Point 1891, was a career infantry officer who was one of the four senior officers assigned to the Aviation Field Officers Course in November 1916. He succeeded Squier as head of the division/section in February 1917 when Squier was promoted to major general and named Chief Signal Officer of the Army. After taking command of the 49th Infantry on July 29, 1917, Bennet was promoted to colonel, became commander of the 11th Infantry in March 1918, and led that unit in combat in France. In October 1918 he was promoted to temporary brigadier general, then reverted to his permanent rank of lieutenant colonel in June 1919. After being assigned as a student at the Army War College, he received promotion to permanent colonel in August 1919. Bennet retired in 1925 and was promoted to brigadier general on the retired list on June 21, 1930, shortly before his death. ↑ Alexander Lucien Dade, USMA 1887, was lieutenant colonel of the 7th Cavalry when he attended the course of aviation administration at the Signal Corps Aviation School in San Diego during the winter of 1916-1917. He was promoted to colonel and was made school commander on April 11, 1917, after Col. William A. Glassford was summarily retired. Dade was promoted to temporary general of the Signal Corps on December 17, with a date of rank of October 29, and appointed to command the Air Division and by seniority the Aviation Section, after Foulois went to France to command the Air Service of the AEF. Dade's general's commission was discharged in May 1918 when he transferred to the Inspector General's Department. He retired disability line of duty in 1920. ↑ Brown served as a private in Troop F, 7th Cavalry between 1894 and 1897, then transferred to the 4th Artillery. He was commissioned in 1898 during the Spanish American War, and two years later was a captain in the permanent establishment. Brown transferred to the Coast Artillery Corps in 1914, where he received his majority. On August 5, 1917 he was one of a large number of mid-career officers detailed to the expanding Aviation Section, where he was promoted to temporary colonel. He returned to the Coast Artillery Corps after World War I, and received his permanent establishment colonelcy on July 1, 1920. ↑ Maurer (1978), p. 21. ↑ Heimdahl and Hurley (1997), p. 28. ↑ Hennessy (1958), p. 130. ↑ Hennessy (1958), p. 110. ↑ Hennessy (1958), p. 111. ↑ Hennessy (1958), p. 120. ↑ Heimdahl and Hurley (1997), p. 30. ↑ Hennessy (1958), p. 124. ↑ Hennessy (1958), pp. 151-152. ↑ Hennessy (1958), p. 147. ↑ Hennessy (1958), p. 149. ↑ Hennessy (1958), p. 160. ↑ Hennessy (1958), p. 167, note. ↑ Hennessy (1958), p. 177. ↑ Hennessy (1958), p. 156. ↑ 21.0 21.1 Heimdahl and Hurley (1997), p. 31. ↑ Hennessy (1958), p. 173. ↑ Hennessy (1958), p. 123. ↑ Hennessy (1958), p. 103. ↑ Cameron (1999), p. 68. ↑ Hennessy (1958), p. 144. ↑ Johnson (2001), pp.118 and 122. ↑ Raines (1996), pp. 165-166. ↑ Johnson (2001), pp. 132-133. ↑ Johnson (2001), pp. 130 and 133. ↑ Johnson (2001), pp. 134-135. ↑ Hennessy (1958), pp. 196-197. ↑ Hennessy (1958), pp. 188, 193 and 195-196. ↑ 47.0 47.1 "Historical Account of the Organization and Functioning of the 50th Aero Squadron", Series "E", Volume 3, page 62, Gorrell's History of the American Expeditionary Forces Air Service, 1917–1919, National Archives, Washington, D.C.
↑ "The Nation's Air Arm and Its Early Leaders". 2011. pp. 103. http://www.airforce-magazine.com/MagazineArchive/Magazine%20Documents/2011/May%202011/0511leaders.pdf. Retrieved 13 Sep 2011. Cameron, Rebecca Hancock (1999). Training to Fly: Military Flight Training 1907-1945. Washington, D.C.: Air Force History and Museums Program. OCLC 606500804. Greer, Thomas H. (1985). USAF Historical Study 89, The Development of Air Doctrine in the Army Air Arm, 1917–1941. Maxwell Air Force Base: Center For Air Force History. http://www.afhra.af.mil/shared/media/document/AFD-090601-130.pdf. Retrieved 10 Nov 2010. Johnson, Herbert Alan (2001). Wingless Eagle: U.S. Army Aviation Through World War I, University of North Carolina Press. ISBN 0-8078-2627-8. McClendon, R. Earl (1996). Autonomy of the Air Arm. Maxwell Air Force Base, Alabama: Air University. ISBN 0-16-045510-3. http://www.afhso.af.mil/shared/media/document/AFD-100923-006.pdf. Retrieved 2012-05-31. Mooney, Charles C. and Layman, Martha E. (1944). "Organization of Military Aeronautics, 1907-1935 (Congressional and War Department Action)". Air Force Historical Study No. 25. AFHRA (USAF). http://www.afhra.af.mil/shared/media/document/AFD-090602-051.pdf. Retrieved 14 Dec 2010. Pool, William C. (1956). "Military Aviation in Texas, 1913-1917". pp. 429–454. http://texashistory.unt.edu/ark:/67531/metapth101162/m1/455/. Retrieved 6 Sep 2011.